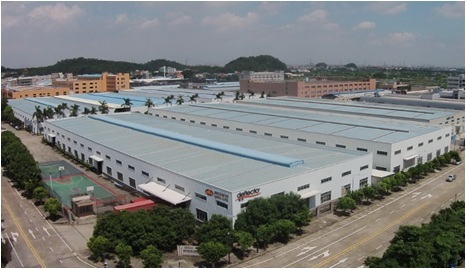 Sate-Lite (Foshan) Plastics Co., Ltd. was established in June 1998, whose parent company Deflecto LLC. was founded in 1960 in United States. With nearly 60-year history of brand recognition and products widely used in more than 200 countries, Deflecto LLC. has made 8 Billion US dollars in global sales, which makes it a preferred brand for Top 500 companies around the world. As an acrylic display products designated supplier, Sate-lite is an all-in-one manufacturer including acrylic and styrene sheet production, display product design, production and sales. Besides, Sate-lite is a strong manufacturer with 585 staffs, covering an area of 40,000 square meters, among which more than 30,000 square meters of three-dimensional warehouse management enhances the ability of inventory.) Furthermore, there are 337 sets of professional production equipments in Sate-lite, including imported 500T injection molding machines, 200LPI large four-color solvent printer, ultrasonic welding machine, imported feeder, High-precision Cutting Machine, Diamond Polishing Machines, Screen/Silk Printing Machines, Four Color Printer, Automatic Heat Bending Machine, Angle Bender, Laser Engraving Machine, Referral Machine, CNC Lathe, High-speed Presses, 5 Extrusion Production Lines. World Leader - Deflecto is one of the world's largest manufacturers of extruded POS, literature display and acrylic sheet. Deflecto produced all kinds of acrylic (PMMA), PS, PVC and other materials for commercial display products, including product display, drink list holder, menu holder, document holder, rotating magazine/poster frame, price card, catalog stand/shelf, business card holder, storage box, ballot box, draw boxes and so on. Nearly 1,000 kind of various standard sizes of products can be finished all-in-one piece with automatic machines to ensure theirs quality and stability. Deflecto display products are widely used here and there in hotels, restaurants, banks, schools, factories, government offices, shopping malls, post offices, real estate agency, exhibition center, hospitals and other commercial places.